Specifications, opinions, and repair techniques offered in this Tutorial are never to be considered the “final word,” and all technicians and DIYers who choose to use the Tutorial’s procedures should also consult other references, such as the Porsche factory repair manual, for additional information and clarification. Please consider Part IX as the 915 repair in review; a collection of thoughts that might not have fit well inside the Tutorial, or are worth repeating. As the 915 moved through its fifteen years of production, engine displacement, horsepower and torque all increased, which made internal modifications to the 915 necessary. I’ll discuss some of those changes, as well as relate some stories and technical help bits. 1. Drain and fill plugs (M24 tapered thread). a. 1972-1979: 2.0-2.5 mkp (also found listed in various references as 2.0-2.5 kpm or 20-25 Nm) – 14-18 lb/ft. c. 1982-1986: 2.4 kpm – 17 lb/ft. 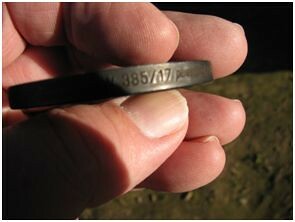 NOTE: Sometime during 915 production the design of the above plugs changed from a plug that was removed/installed using a 19mm wrench or socket, to a plug that required a 17mm hex wrench/socket. The change was done, as close as I can pin-point it, at the end of 915/61 production. If ever in doubt, use 17 lb/ft as the torque spec, no matter if your transmission has a magnesium, or aluminum, housing, or if your plugs are the early or late type. 2. 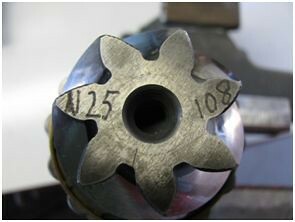 Collared nut; pinion shaft (M24 x 1.5 thread). a. 1972-1977: 14.0-16.0 mkp (also listed as 14.0-16.0 kpm or 140-160 Nm) – 101-116 lb/ft. b. 1978-1981: 24.0-26.0 kpm (also listed as 240-260 Nm) – 174-188 lb/ft. c. 1982-1986: 250 Nm – 181 lb/ft. NOTE: I always considered a torque range odd for a collared nut, as opposed to a castle nut when a torque range can allow a better chance of locking pin openings aligning with a pin hole in the main shaft. When a range is stipulated I tend to use the high end of the spec. 3. 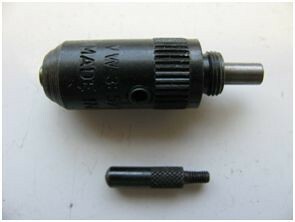 Collared nut; main shaft (M30 x 1.5 thread). a. 1972-1981: 16.0-18.0 mkp/kpm (160-180 Nm) – 116-130 lb/ft. b. 1982-1986: 230 Nm – 166 lb/ft. NOTE: I suspect that some of the above torque specs are not entirely accurate, but all are taken from Porsche factory literature. For example, the 1980/81 transmission is identical to the 1982/83 transmission, however, the listed torque spec for the main shaft collared nut changed halfway through that production period. Not all factory manuals are complete with supplements, nor can Technical Specification books be changed, so it’s possible that changes can be made, with only a tiny percent of the Porsche community aware of it. What I do, and the main shaft collared nut is a classic case, is go back in time until I find a design change that might correspond to a torque spec change. The design of the main shaft changed at one point, and the early versions placed the fixed gear of 2nd speed directly against a machined section of the main shaft. Later models incorporate a steel spacer between a redesigned surface and gear. So, for many years, I’ve used the 166 lb/ft torque spec for all late main shafts, and use the high side of the early torque spec for early style main shafts. Occasionally decisions like this must be made, but I can assure you that by doing this, I’ve never broken/damaged a main shaft, nor have I ever had a transmission come back for repair with anything other than driver-induced trauma. 4. 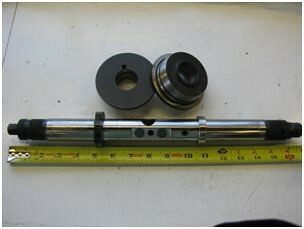 Castle nut; main shaft (M18 x 1.5 thread). a. 1972-1981: 12.0-14.0 mkp/kpm (120-140 Nm) – 87-101 lb/ft. b. 1982-1986: 160 Nm – 116 lb/ft. NOTE: I have increased castle nut torque for all later main shafts that use a spacer next to 2nd speed. A discussion of what to do, when torque of 116 lb/ft is applied, and the lock pin holes don’t line up with a recess in the castle, can be found in the Tutorial. A last note regarding nuts, it’s OK to reuse the castle nut, but the collared nuts must be replaced. Beginning with type 915/61 production for 1977 911s, 1st speed dog teeth were manufactured with asymmetrical teeth, instead of the symmetrical teeth used through 1976. The theory behind the change was easier 1st gear shifts, and, in hindsight, the decision proved to be successful, although, in my experience, slightly less reliable. I have found over decades of transmission repairs that Curil T (green) is my favorite sealant to use on 915s made with aluminum housings. 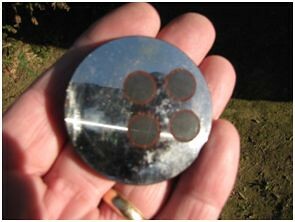 Magnesium components, on the other hand, seal better with a product called Curil K (brown). Gaskets are used for all 915s, so, although it’s tempting, I’ve not strayed from Curil products. LocTite 574 (orange), a long time favorite of mine, works extremely well on aluminum to aluminum joints (i.e., 911 engine camshaft housings to cylinder heads) where no gasket is used, but I’m sure that a myriad of sealants available today will do the job. If you decide to assemble your 915 without sealant, using only gaskets as the factory originally did, you will probably have joint seepage. When the housing sections were first cast, and machined, the joining surfaces were absolutely flat. There is little hope for that condition to survive thousands of miles and temperature cycles, in addition to one or more events that will make disassembly and reassembly necessary, so use that sealant. It didn’t take long to figure out what the dealer technician did wrong. I removed the pinion shaft and main shaft nuts, pulled off reverse and 5th gears, and saw that the special lock rings for the center housing bearing races had been left on a workbench somewhere, and the pinion shaft bearing race had moved far enough to machine away about 1/3 of 5th gear. I documented the repair with notes and photos, returned the car to its owner and agreed to be a witness at his Small Claims hearing. Needless to say, the case didn’t get to court. A couple of weeks after being notified, the dealer sent my happy, new customer a check to cover damages. More interesting repairs come to mind, but I think the most noteworthy was the end-product of a driving expert doubling as a valet parking specialist. That car was towed to my shop from a Bel Air restaurant, and based on its owners comments we pushed the car onto a hoist, fearful of one more start-up. We drained the trans oil. There were so many pieces of metal stuck to the drain plug magnet, and more that I could touch by inserting my finger into the drain plug hole, and even more that simply fell into the drain pan, all that I could think was…well, I better keep this “G” rated. During disassembly of that 915 I found a broken 1st gear set (dog teeth and primary teeth), a broken 2nd gear set (dog teeth and primary teeth), a broken 3rd gear set (primary teeth), and unrecognizable bits that used to be synchro rings, brake bands and retainers. The destruction was so complete that to this day I don’t know how the valet managed it. But he did, I fixed it, and our customer chose to ignore the sign on the parking lot’s wall that read, “Not responsible for…yada, yada,” and filed a claim with management of the restaurant. The repair bill was in the thousands of dollars, and the establishment’s insurance company eventually reimbursed my client after being served with a Small Claim’s action. The valet? I think he probably took up surfing. Paint dots? I normally don’t use them, but times exist when they can be useful. Once a fastener has been torqued a small drop of paint can be applied to that nut or bolt, in order to remind a technician at a later time that the fastener was tight. Paint dots are helpful to those of us who are obsessive regarding double-checking fastener tightness. Use a paint dot on the collared nut of the main shaft after you have torqued the nut and peened its collar. Use a dot on each of the three shift fork bolts after you have final tightened them. 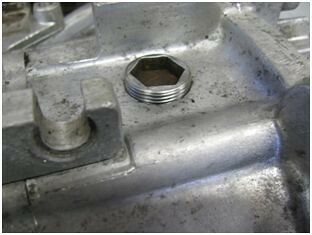 Use a dot on one of the nuts securing the transmission nose cover after you torque the cover. Paint dots, an interesting concept. This is a very important procedure, but the cost of the required tools is such that to buy them to repair a single transmission could easily double your cost to repair that transmission. The process itself is not difficult, and it’s best to approach it by visualizing what needs to be accomplished. As part of the manufacturing process, every ring and pinion is installed in a special machine, and while backlash is maintained, the pinion head is moved back and forth inside the ring gear until the most desirable setting is found. 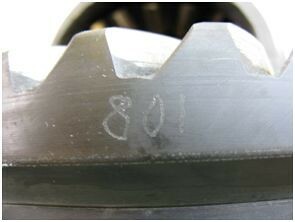 The set-up spec is then etched onto the pinion head, and that dimension is used to calculate the position of the pinion head at its desired contact point of the ring gear. I’ve checked a large number of 915s following pinion shaft bearing reinforcement surgery, and all remained in spec. The need for a depth check usually occurs when a differential housing is united with a different, new or used, ring and pinion set. 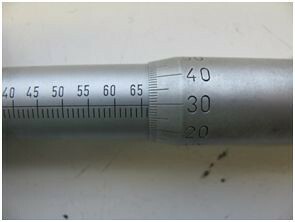 The tools required to measure and set pinion shaft depth (the design dimension for where it must be to properly engage the ring gear) are available in two types. 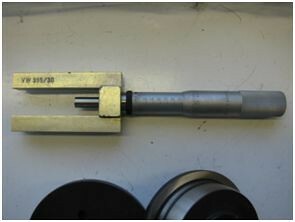 The original setting mandrel, Porsche tool number P258, is used with a number of related tools, and the second, the 258’s successor, VW 385/1, came later. P 258 required installation of the diff carrier bearings, along with any shims needed to eliminate existing axial play that would skew a measurement. In essence, the tool had to be set up. Contrast that to the 385, which uses a pair of bearing-shaped pucks with an internal mechanism that pulls the pucks snug inside the diff housing (eliminating axial play), so there is no need to use bearings, shims, or other differential parts. Both methods are accurate, but the 385/1 simplifies the job. that fits against the pinion head. 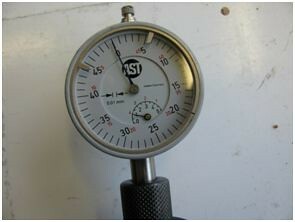 The 385/1 is a universal tool, and related accessories (gauge plunger extensions) are transmission specific. 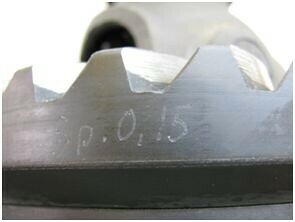 Use of the tool must be adhered to exactly, because the factory’s installation numbers, etched onto every pinion head, determine how the pinion head must engage the ring gear for long life and quiet running. I’m sure there are gear heads out there that would prefer to use blue dye to evaluate the gear contact pattern, but I put my trust in factory information and tools. Every ring and pinion is inscribed with numbers. One each on the pinion head and ring gear will match, in this case “801”, that’s the pair number (example shown is a 914/4 ring & pinion). 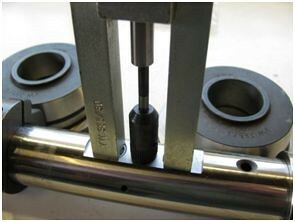 …may be set to 1mm pre-load so that the actual position of the pinion head, without shims, can be measured. …may then be installed into the differential housing after good/new carrier bearing races are installed in the diff housing and side cover. 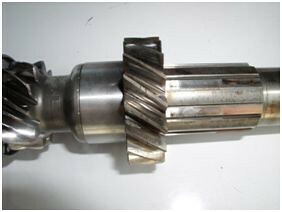 The pinion shaft must be installed without shims, and its nut torqued to factory specification. 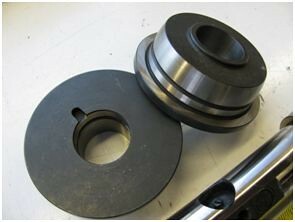 Any axial play must be eliminated according to the process required by the tool that you have. At this point it’s best to follow the step by step instructions in the factory manual to do the measurement and subsequent math to determine the new shim thickness needed to have the pinion head engage the ring gear at the precise depth. Well, I think that we’ve reached the time to bring this Tutorial to a close. That said, I’m available to answer questions for anyone who encounters a problem during the repair/rebuild process, and will do my best to try to lend advice to get you through a problem. 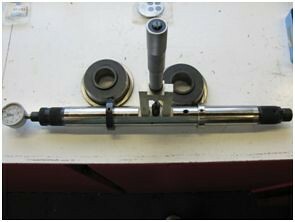 Get that ½” drive torque wrench calibrated and get ready to do some work. Keep the shiny side up, and thanks for reading! Why not visit our driveways in nottingham for further information.